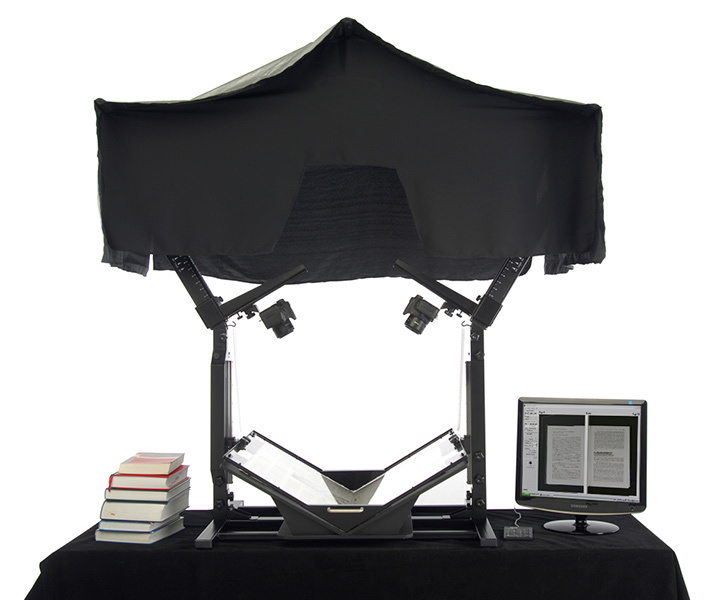 BookDrive DIY is a cost-effective book digitization solution that combines the power of digital SLR cameras and the ingenuity of a unique v-shaped, auto-adjusting book cradle and platen to capture sharp images at up to 700 pages an hour. 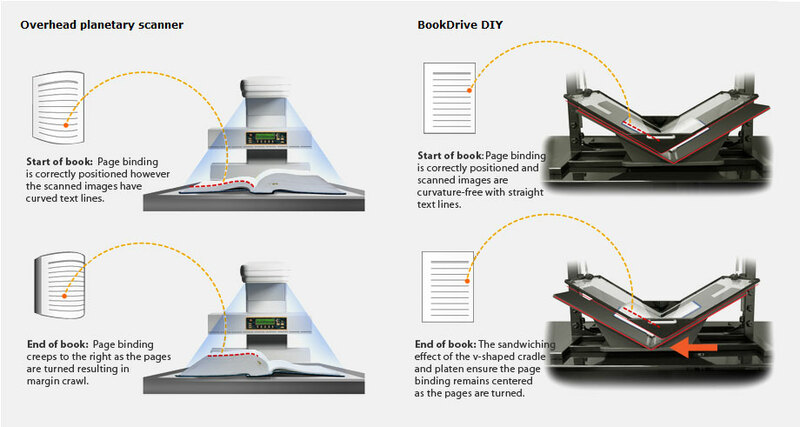 While conventional flatbed scanners and expensive overhead types tend to produce distorted images resulting from book bindings and page curvature and cause damage to books as a result of applying force in an attempt to flatten pages, BookDrive DIY produces sharp images with no page curvature and is easy on book bindings. Whether you are a small school, local library, university or imaging center, you can now afford an easy to use and highly efficient scanning solution. BookDrive DIY is the fastest and most affordable book digitization solution available today and because of its component based design it is entirely upgradable. How does BookDrive DIY work? 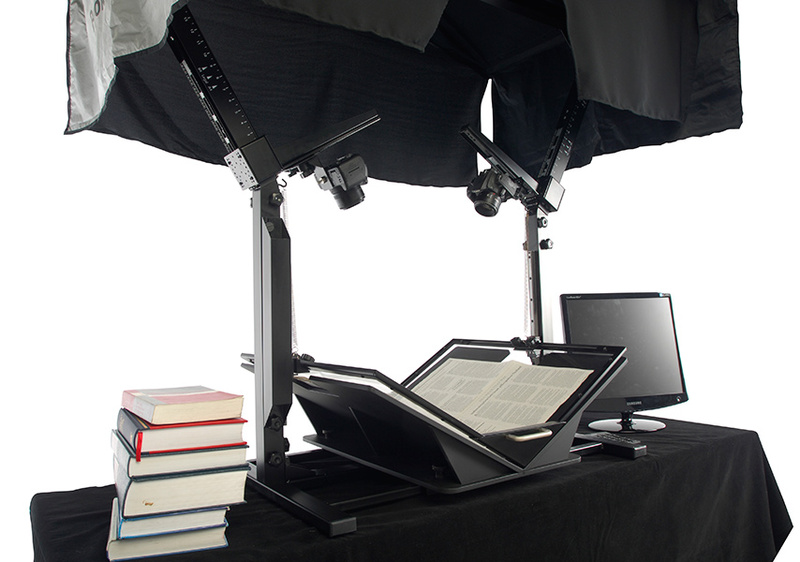 BookDrive DIY employs powerful digital cameras, mounted either side of the book cradle, to produce sharp, flat-looking images fit for distribution or archiving and ideal for OCR text conversion. 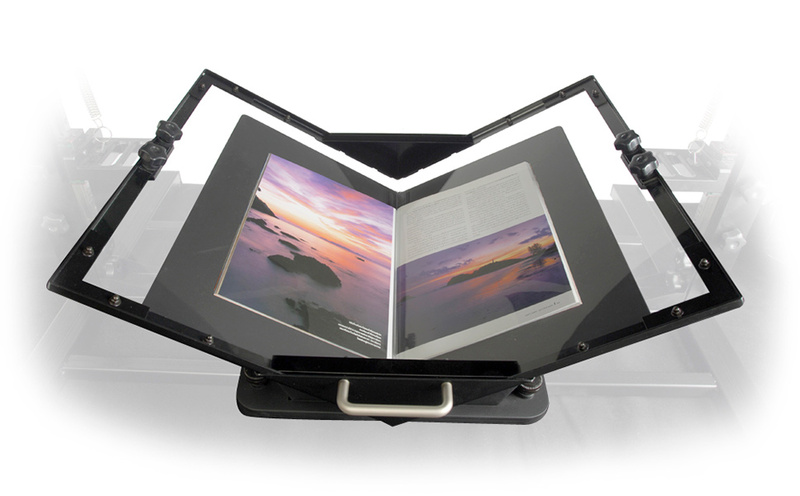 Simply place your book facing up on the v-shaped cradle, engage the transparent platen and press the capture button to shoot both left and right pages. BookDrive vs. Other Scanners This information page summarizes what sets BookDrive apart from the competition. 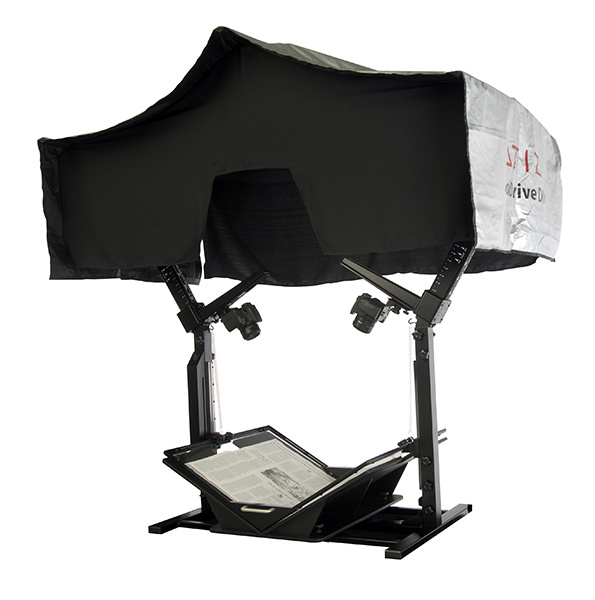 BookDrive DIY employs a unique v-shaped book cradle and transparent platen to help protect bindings (scanning is performed without laying books out flat and applying undesirable or unnecessary force to bindings) and save time (handling is kept to a minimum as pages can be turned without having to flip the book over each time). 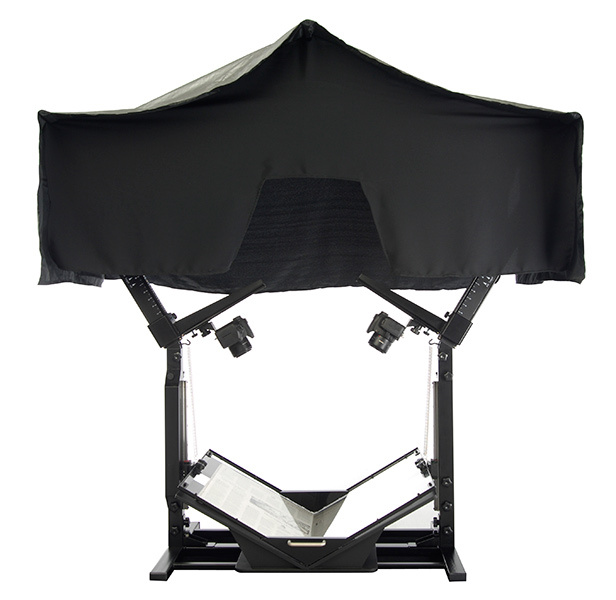 Conventional or overhead scanners produce curved page images and rely on software to correct curvature problems. This approach is inefficient and unreliable, often producing poor or unusable results. 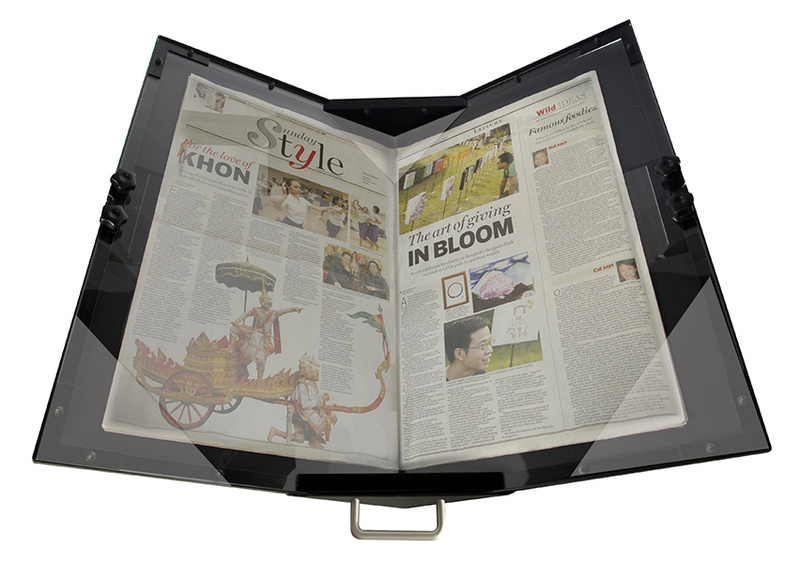 However, BookDrive DIY's combination of v-shaped book cradle and transparent platen together with overhead SLR cameras guarantee sharp, flat-looking pages are captured everytime. The bulk of the book gradually shifts to the left as pages are turned. This 'margin crawl' problem requires manual intervention from operator to reposition the book constantly to ensure consistent margin and page border. 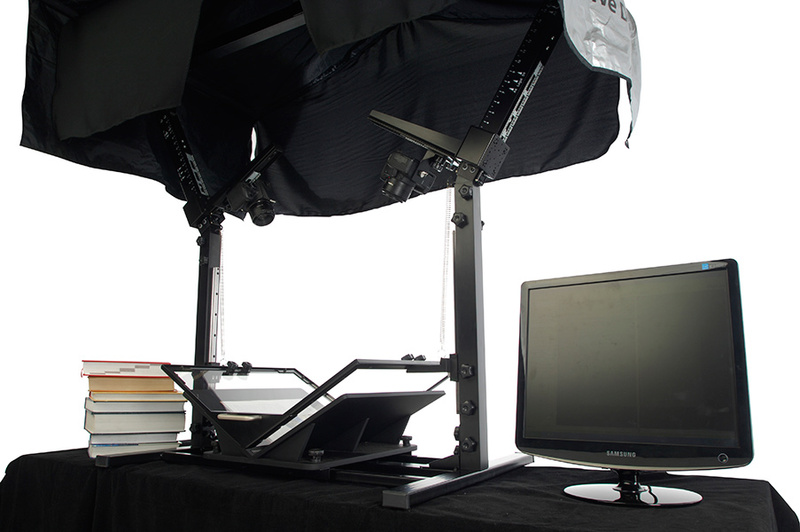 The unique V-cradle of BookDrive DIY will automatically correctly position the book before each scan. This produces consistent borders and margins with every page. 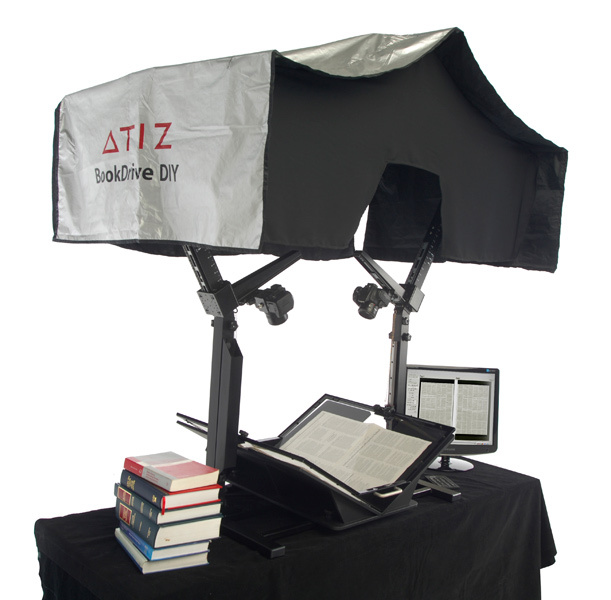 BookDrive DIY can be used to scan all kinds of books and can facilitate many different sizes, thicknesses and types of bindings. It is especially easy on battered old books. Best Scan for the OCR. The sharp, curvature-free images from BookDrive DIY are perfect for performing OCR, a process that converts a digital image into a text-searchable, editable document. The OCR software is optional but the output from BookDrive DIY will work well with all commercially available OCR software on the market. Margin crawl and BookDrive DIY's auto-centering cradle and platen.